Do you wish that your sofa could look just like new again? We can make that possible with our advanced professional cleaning supplies and powerful machines. As long as you contact the reliable experts from our reputable company, you will be able to make your wish come true and you will only have to pay one small fee in return. Call and reserve an affordable sofa cleaning service in Wimbledon SW19 with us and we can guarantee that the results from the procedure will exceed your expectations. For the deep disinfection of your sofa’s fabric our employees will bring their advanced equipment of non-toxic products and special energy-efficient machines. Just give them a call. 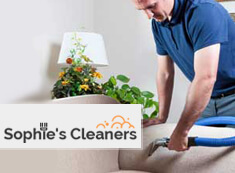 It will be a real pleasure for our well-mannered and very experienced specialists to provide you and your family with first-class sofa cleaning. No matter in which part of London you live, you can contact our customer service operators any time and ask to book your procedure. It doesn’t matter for which time and date you make your reservation either, because our team can work during the entire week and that includes also holidays and weekends. Your sofa deserves the best cares and now is the right time to provide it with such by simply calling in the headquarters of our agency. Our polite representatives will inform you about the prices of our procedures and about our most affordable offers. 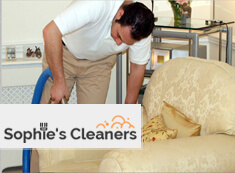 It is possible also to meet our employees in person by coming and making your reservation for effective upholstery cleaning in SW19 Wimbledon where we have an office. No matter what you decide, you can be absolutely sure that you will receive qualitative and effective service.